1. Better not to have any 'Section Breaks'. Otherwise we will have to edit header for each section separately. 2. The Chapter title text (like Prologue and Chapter 1) in the content must have same style applied to it. Let's say all chapter titles are having style 'Heading 1'. 3. 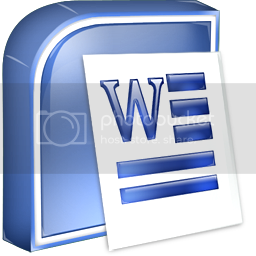 (This method is for Office Word 2007, for 2003 and others go to 'Edit->Header and Footer') Double click on 'Header'. Put the cursor where you want the Chapter title to appear. 4. (This method is for Office Word 2007, for 2003 and others go to 'Insert->Field') In 'Header & Footer Tools', go to 'Quick Parts -> Field'. 5. Select 'StyleRef' from 'Field Names'. 6. On right side, from the 'Style name list', select the style you have used for the chapter title (in our case it is 'Heading 1' as we did in step 2). 7. Check more options if needed. A problem is that the chapter name also gets added to front page, table of contents page, etc. Need to add instructions to prevent that. Great tip, I've always wondered about this. I still have an issue though; I want to display 'Heading 1' and 'Heading 2'. Some chapters don't have a heading 2. Is there some way to make part of it conditional in the field code? This is still helpful! Thanks! Super helpful, thanks so much! A better guide than what Microsoft provides. which, by the way, is completely useless. I like this post. It was interesting and useful for me. Hope you'll add more things like that later.